Minnesota needs to be more than just KAT all around. The Minnesota Timberwolves barely made it to the playoffs last year, hanging on by a thread down at the 8th spot on the West leaderboard. However, that seems like a major achievement now in retrospect. Karl-Anthony Towns and his Minnesota Timberwolves finished at a dismal 11th place on the Western Conference standings this year, never looking like making it to the postseason. Timberwolves coach and president Tom Thibodeau was abruptly fired back in January and replaced by 32-year-old Ryan Saunders as an interim coach even as the team sunk out of the playoff picture. Safe to say, it was a trainwreck of a year for the organization as they continue to look for ways to build around the franchise cornerstone in Towns. After putting an end to a 13-year playoff drought last season, the team clearly couldn't build on the momentum this campaign. Much of the damage can be attributed to Jimmy Butler's controversial exit. A majority of players in the current squad do not match up to his playing standards and as a result, KAT was stranded in the middle of nowhere with a directionless supporting cast. On that nore, without further ado, let's analyze three players who failed to play prominent roles this season. Taj Gibson spent most of his career with the Chicago Bulls. In a reunion with Coach Thibodeau last year in Minnesota, the 33-year-old put up near-career-high numbers both in scoring and rebounding, having started in all 82 games. But that didn't carry over to the recently ended regular season as he could manage just a little over 10 points and 6 rebounds a game. He played in just 70 games and was part of the starting lineup in only 57 of them. 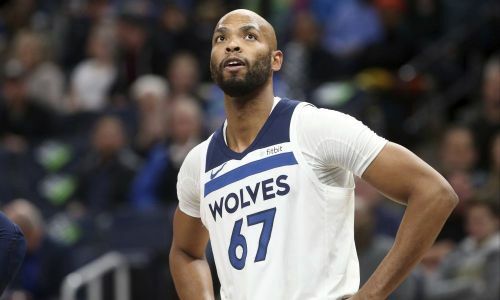 Despite playing over 24 minutes per game and shooting a career-best 56% from the field this past regular season, Taj Gibson was not able to impact the floor like he normally does. In the process, he committed 2.7 personal fouls per game along with shooting a subpar 75% from the free-throw line.